SOME of Brisbane’s top business leaders braved the cold overnight to experience the struggle facing thousands of homeless Australians every day. 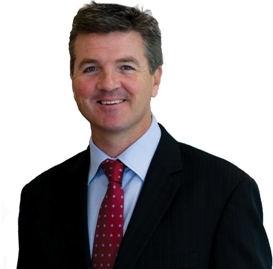 The St Vincent de Paul Society invites hundreds of company bosses and government representatives across Australia to participate in the Vinnies CEO Sleepout each year. Celebrating its fifth anniversary, $753,654 was raised to support the event at South Bank Courier-Mail Piazza. The CEOs camp out to raise awareness and much needed funds to end homelessness, armed with nothing more than a beanie, sheet of cardboard and a cup of soup. Vinnies CEO Peter Maher says the experience gives participants a better understanding of the social issue and is amazed at the support it receives every year. “Change is happening thanks to the CEOs participating and the generous donors who get behind our leaders. "The money raised here last night will help us intervene before homelessness happens as well as help us give people a way back into housing. 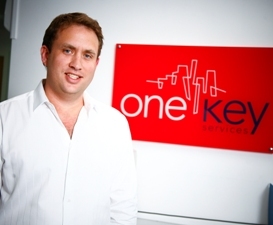 “The funds enable us to provide things like emergency accommodation to a family facing living in their car, petrol in the car to keep the breadwinner employed and create affordable transitional housing options as a hand up,” he says. Queensland has the third highest homeless population in Australia close to 20,000 people, with more than half of that number 34-years-old or younger. 176 CEOs from across the state registered, including Dean Merlo from Merlo Coffee, Bruce Scott from Eagle Boys, Scott Hartley from Sunsuper, Martin Ward from A.P. Eagers and Milton Burrell from Good Price Pharmacy. Rowland chairman Geoff Rodgers has participated in the Vinnies CEO Sleepout since 2011. In this time he has raised in excess of $150,000, with all funds committed towards addressing the issue of homelessness in Queensland. Rodgers is the top fundraiser in the state for 2014. “Homelessness is an immensely broad issue where the stereotypes people assign just do not exist. It is an issue that affects more than 105,000 Australians each night, including approximately 17,000 children under the age of 10. 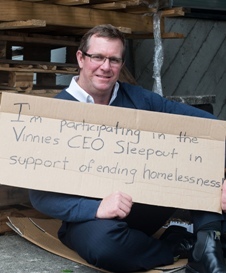 This is why I participate in the Vinnies CEO Sleepout,” says Rodgers. The head of the construction and resource services company has raised $17,000 for the cause and says Ostwald Bros is proud to support Vinnies. This is the second time sleeping out for the head of the specialist workforce provider and has raised $6,966 for Vinnies. Seeking donations and corporate sponsorship from companies aligned with One Key Resources, Wechsel says the team has witnessed the issue firsthand.